The caterpillar lives mostly on alder species (Alnus) or at Acer (maple). Hydrelia flammeolaria inhabits forests, wetlands, streams, alder galleries and similar locations with the host plants. 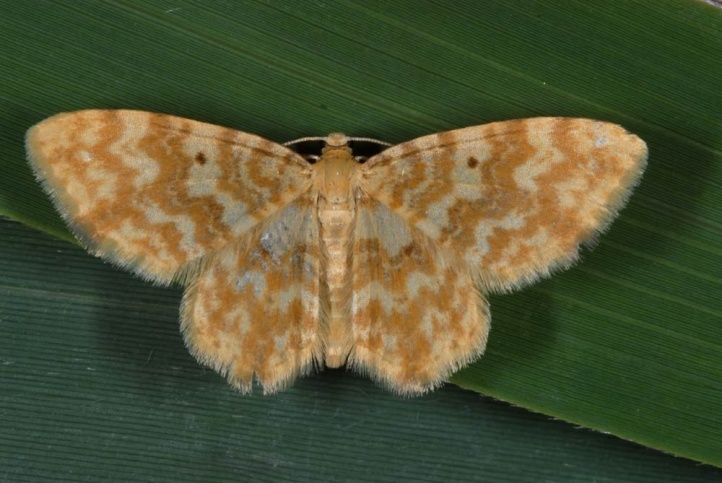 The moths fly from mid-May to early August, mostly in just a single generation. The caterpillar lives from late June to late September and, according to literature, rests on the underside of leaves. The pupa overwinters. The distribution extends across most of Europe and temperate Asia to Japan.